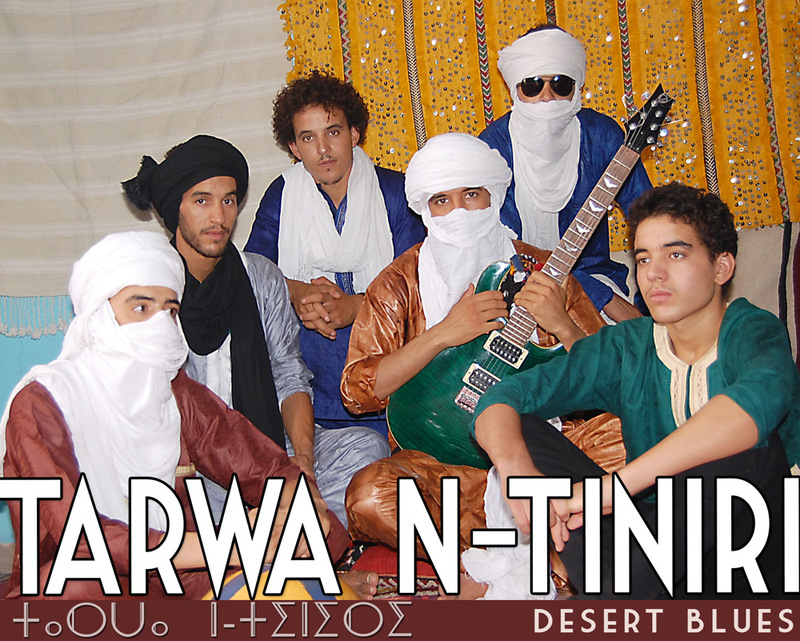 Tarwa N-Tiniri come from the southern town Ouarzazate in Morocco. Inspired by famous desert blues bands like Tinariwen, Tamikrest and Bombino, these young musicians’ goal is to become the new international generation of desert blues bands. Singing their songs in the amazing (berber) language accompanied by acoustic guitar, el-guitar, djembe, calabasse and bass guitar they express the social conditions of the nomadic people of their region and refreshes the genre with energy, creativity and vocals with deep roots woven in the special desert blues rhythms. Transform is tremendously proud to present Tarwa N-Tiniri in Europe for the first time and hope our audience will give them a huge boost up the international ladder.